The NFL season officially got off to an exciting start last weekend with the Vikings vs. Steelers NFL Hall of Fame game in Canton, Ohio. 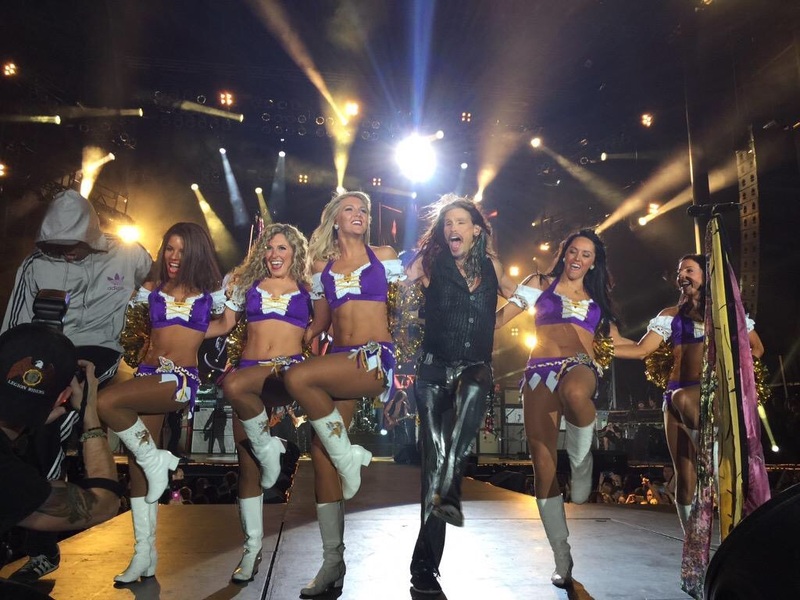 The night before the game, the Minnesota Vikings Cheerleaders had a little time off to enjoy the Aerosmith concert- and the five captains performed on stage in their signature uniform "Baby Helga!" So Awesome ladies! Check out the fabulous photo below!